Over the past couple of years, it seems like the one brand that continues to gain closet space every season is Bonobos. Like many, we started with khakis. From there came a number of ‘go to hell’ pants, and then we branched into their fantastic button downs. 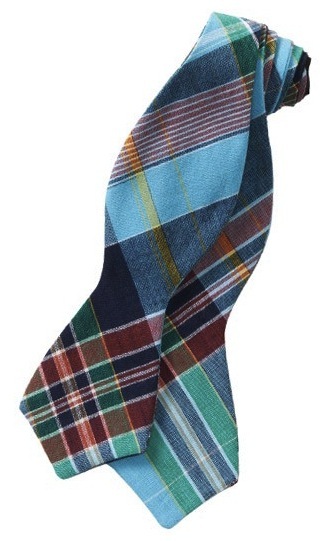 It’s taken some time, but today Bonobos is finally breaking into our bowtie rotation with their Cape Hatteras bow. Though we refuse to wear shorts with an inseam shorter than 7 inches, we tend to bend our rules a bit when it comes to swimwear. In fact, we’d much prefer a swimsuit with a 5 inch inseam to a pair of boardshorts that fall below the knee. Just last week, a suit that we’ve been eyeing for quite some time finally hit the market. It’s the Patchwork Swimsuit from Southern Proper. In honor of what would have been his 96th birthday, today we are celebrating someone that we’ve drawn inspiration from for quite some time; John F. Kennedy. 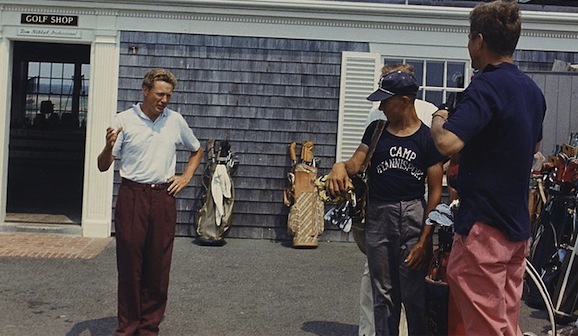 Though he has been gone for nearly fifty years, JFK remains a style icon with his classic preppy appeal, and we have a feeling we’ll be saying the same thing fifty years from now. We are big fans of the photos of Kennedy aboard Manitou, but two of our favorite summer looks are inspired by shots of JFK firmly planted on terra firma. It’s always great to see brands that we have gotten to know of the years growing by leaps and bounds, and our friends down at Jack Donnelly definitely fit that mold as of late. 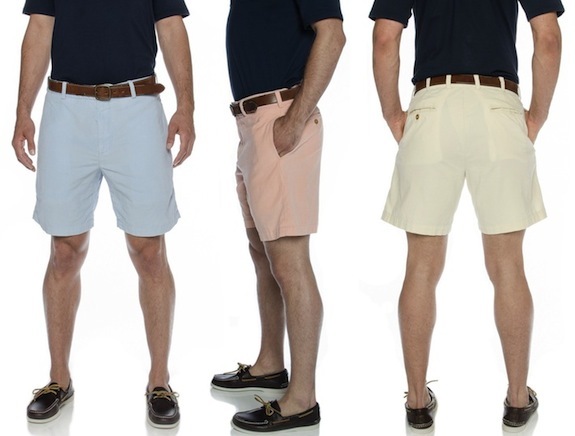 What started off as a fantastic pair of khakis has evolved into a full lineup of pants and shorts bearing the Jack Donnelly name. 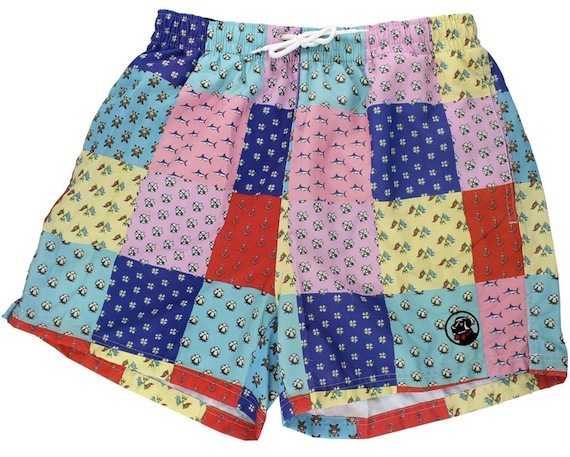 Their latest addition, the Barkley Shorts are definitely going to end up in our collection this summer. 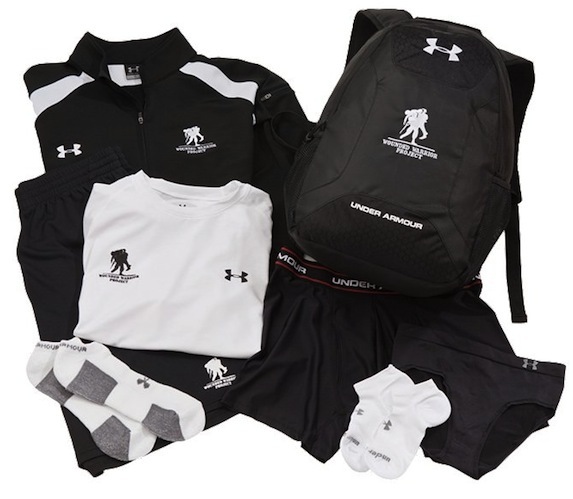 Though a year has passed since we originally featured the Wounded Warrior Project Backpack Gift from Under Armour, our sentiments around this package as well as Memorial Day remain unchanged. Enjoy the day everyone, and make sure to thank those in uniform. Without them, none of us would be able to live the lives we do. We’re not quite sure how Memorial Day weekend snuck up on us this year, but we sure are glad it’s here. With nothing but rest and relaxation on the schedule for the next three days, we’re looking forward to some much needed downtime and probably a random cook out or two. Regardless of where our weekend adventures take us, we’ll definintely be sporting some red, white, and blue over the next few days. 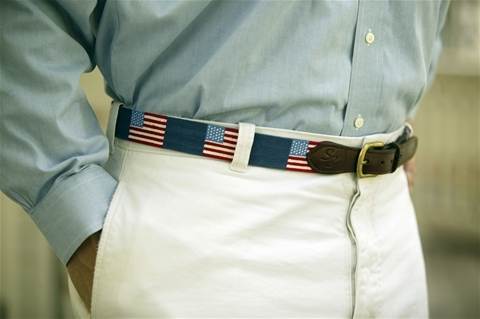 Without question, the American Flag Needlepoint Belt from Smathers & Branson will absolutely be making an appearance. In downtown Annapolis just a stone’s throw away from the water, and nestled between a fantastic coffee shop and one of our favorite Italian restaurants sits The Pink Crab, a Lilly Pulitzer Signature Store that is a favorite shopping destination for virtually every girl we know. 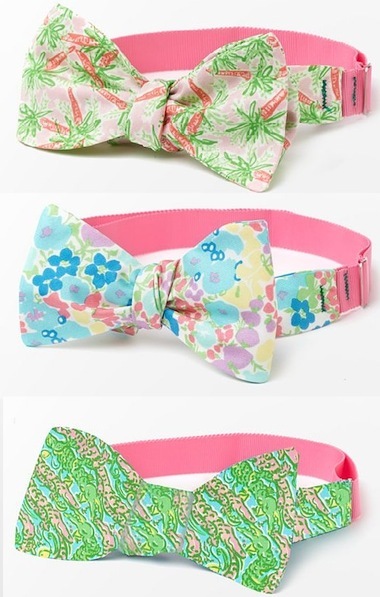 Of course, with wives who love Lilly, we find ourselves perusing the Pink Crab inventory pretty regularly, and on our last visit we were happy to see three great looking bowties staring right back at us. 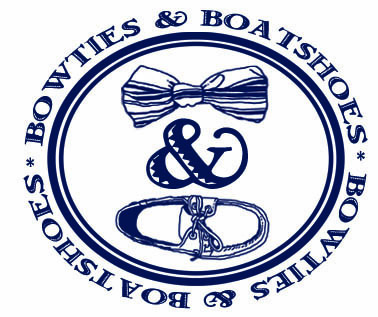 Now, thanks to the ladies at The Pink Crab we are happy to announce that we’re giving away one of those bowties to a lucky Bowties & Boatshoes fan. Show of hands, who is going out of town this weekend to celebrate the official unofficial start of summer? Another show of hands, who has started packing? If you’re like us packing will start far too late the night before you leave, and may or may not be completed by the time you are supposed to hit the road. 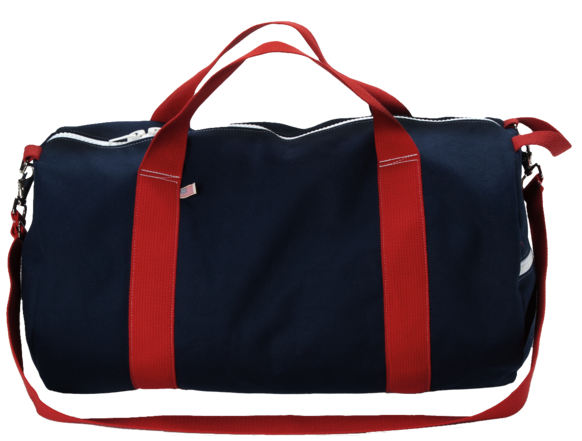 Regardless of when you do your packing, we don’t think there is a bag better suited for Memorial Day weekend than the Yorktown Weekender Duffel from Hudson Sutler. Everyone knows that the details are what really make or break a look. This time of year, we find that the one detail piece that can make a huge difference is a great looking belt. Just when we thought our rotation was locked in for the next few months our friends from Sir Jack’s added the Sailing Hook Belt to their collection. Needless to say, it looks like at least one more addition will be made to our summer lineup. 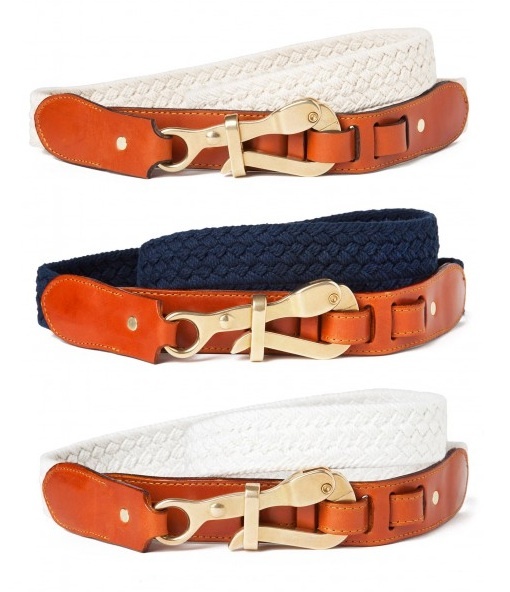 If you want to add this great looking belt to your rotation, today might be your lucky day. Thanks to Sir Jack’s, we’re happy to announce that a lucky Bowties & Boatshoes reader will win their choice of the belts featured above. Not that long ago, we were looking through some old photographs and realized that we got pretty lucky with the clothes our parents chose for us as youngsters. In fact, many of the things we were wearing in those old pictures hang in our closet in adult sizes today. Apparently, the team at L.L. Bean Signature has also spent a great deal of time looking through old photos and we sure are glad they have been. 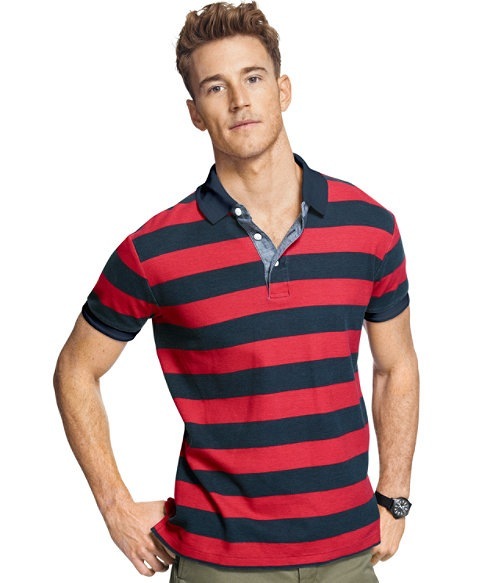 Their recently released 1988 Pique Polo is definitely a welcomed trip down memory lane.